My journey reignited after going to the doctor and receiving the news that I had gain 40 pounds over a 10 year period of time and that my blood pressure was elevated to a dangerous level and medicine would be necessary to regulate it. I was terrified. The doctor asked me one question…..what’s got you STRESSED. At this time I was working demanding hours in corporate America, pursuing a doctoral degree, and heavily engaged in ministry. I had seemly allowed my fitness regime to diminish over 4 years while in school. The conversations with my physician reignited my fire to WORKOUT and monitor my food intake. And I started the metamorphosis process that day! Since, I was no stranger to fitness and the principals of healthy living, I simply refocused and went back to the basics! I did not want to be on blood pressure medication, so improving my quality of life through maintaining a healthy diet and getting reacquainted with my fitness regimen was no longer an option. Not to mention graduating with my doctoral degree, I wanted to be in the best shape of my life! I believe in the slim slow process, no binge diets or gimmicks my weight loss process took a total of 2 years. I have maintained the weight loss for 5 years. I will advise any personal seeking to lose weight to find a program that they not only like but also has a build in support system. Having support forges accountability, new friendships, and fitness camaraderie which are invaluable. Starting and maintaining a health and wellness journey is not a race it’s a journey which doesn’t require perfection but progress. For this reason, I have championed the cause of health and wellness in the African American community. I serve as a spokes person, blogger, and advocate for weight loss. I was featured in the July addition of Black Women Lose weight which is an online weight loss magazine. 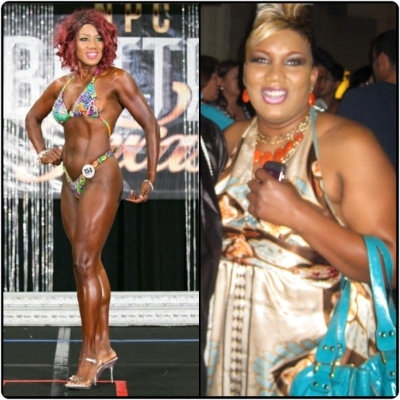 I have also been featured on the fitness freaks and black women workout website. 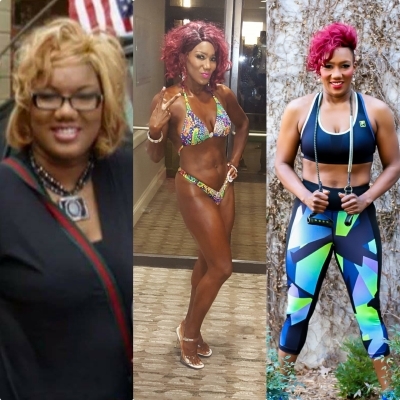 Recently, I published an article entitled "A Fit life is a long life: Consistency is Key" in Nia Magazine which is an online lifestyle and empowerment magazine for today’s Black woman.. Locally, I facilitated a host of fitness and nutrition workshops for community churches and corporate clients. I share with people practical principals of losing weight, selecting a fitness regimen, and maintaining their goals through my books entitled " Upgrade your Temple" and " From Fat-2-Fit". I encourage my followers not to beat yourself up, give time, time! Maintain consistency; make a date with your gym or fitness group. And have fun trying new foods, new workouts, and making new friends!